International Olympic Committee president Thursday praised China for the "extraordinary" job it had done to clean the air for the Beijing Games. China has done everything "humanly possible" to combat air pollution, and conditions will be fine for athletes, Jacques Rogge said. "What they (China) have done is extraordinary: planting millions of trees between the Gobi Desert and Beijing, removing hundreds of thousands of polluting cars, closing polluting petrol stations I think they have done a commendable job. The statistics are very clear. The pollution levels are coming down. It is not yet perfect. (But) it is safe for the athletes." 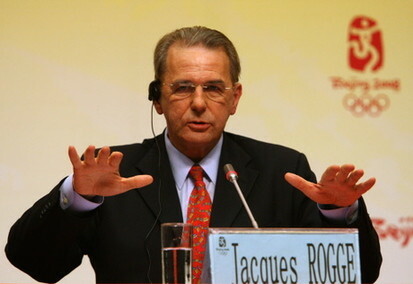 Rogge had a word of advice on the haze that shrouded Beijing a day before the start of the Olympics, too. There is a difference between the haze enveloping the city and damaging air pollution, he said, rubbishing claims to the contrary. What you see is the result of "humidity and heat", he said. It does not mean it "is the same as pollution". After winning the right in 2001 to host the 2008 Summer Olympic Games, Beijing has made a lot of efforts to hold a "high-level Olympic Games with distinguishing features". Rogge is highly satisfied with the preparations. "We have worked very hard with BOCOG for seven years Let me say that we are extremely eager for the Games to start."